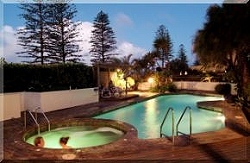 Coolum Caprice are pleased to advise a recent acquisition to their letting pool. 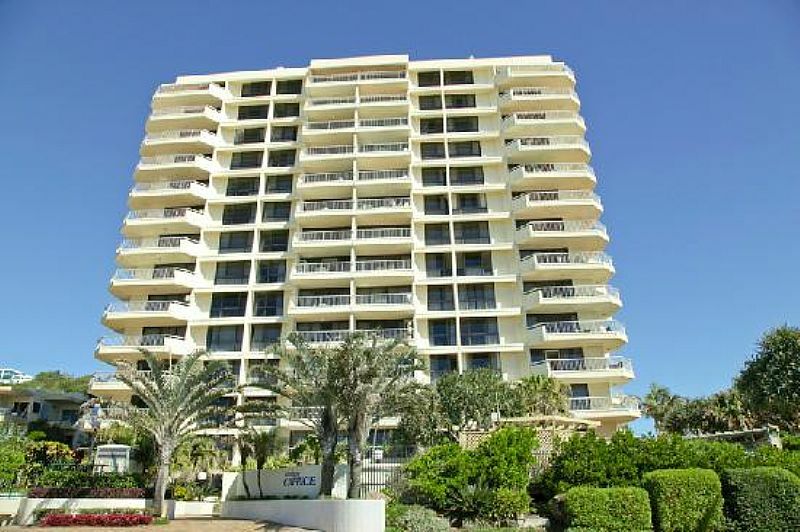 This three bedroom Penthouse is located on their top floor in the northeast corner of the building that provides one of the most sought after positions on the Sunshine Coast. 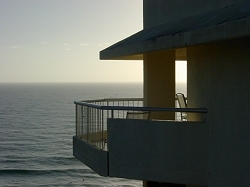 The uninterrupted views of the coastline and hinterland make this position so unique as no other Penthouse on the Sunshine Coast could offer such a contrasting outlook. 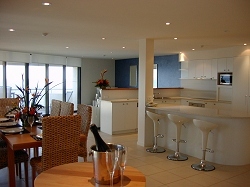 This Penthouse apartment is ideal for small weddings, gatherings and corporate functions. To use the word luxurious when describing this recently refurbished apartment would be an understatement to say the least. 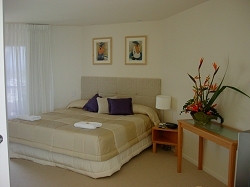 The owners have left no stone unturned in their pursuit of quality and excellence in Penthouse accommodation with their SAKE supervised interior. The open plan and spaciousness of the apartment lends itself to the wide open and hinterland views available from every aspect of the living, lounge and bar areas of the apartment. Living area features a surround sound television & DVD while the CD system pipes music to the bar area as well as the spa pool area on the roof deck. 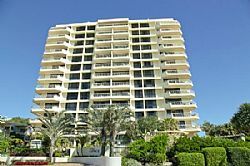 The large roof deck area, accessed through an internal staircase, provides further opulence in Penthouse living. Included on the roof deck are a large heated spa pool, a sauna with bathroom facilities, outdoor furniture and a BBQ. The covered pergola area provides a full kitchen and bar amenities bar area while the gardens and the CD sound system add to the ambience of the area. The views from the apartment and roof deck are quite spectacular. From varying positions through the apartment there are views from Point Arkwright and Point Perry along the coastline up to the Noosa Headlands and National park. The hinterland views take in the Coolum Township, Mount Ninderry and the Blackall ranges. The sunset brings to life an array of lights from residences and street lighting from this vista. The image of the full moon rising over the horizon can only be described as breathtaking. 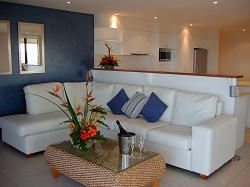 Apart from all this you still have full access to the magnificent facilities the Coolum Caprice has to offer their guests. This includes their large heated pool, gymnasium and games room. 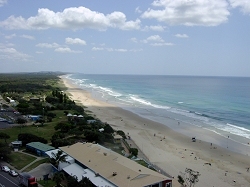 Coolum Caprice is centrally located and only a few metres to the patrolled beach, shops and restaurants, for which Coolum is becoming ever increasingly popular.